A Malaysian diplomat once told me that among the neighbors of Malaysia, Thailand is our closest. He reasoned that despite stark difference in culture, Thailand has never been hostile to Malaysia, unlike Indonesia and the Philippines, which are supposedly our brothers. Thailand even helped Malaysia when the communist waged war against the federation. And compared to Singapore, the sometimes fierce causeway rivalry is non-existent. He somehow forgot to mention Brunei but that is probably because unlike other neighbors, Brunei is not as important. 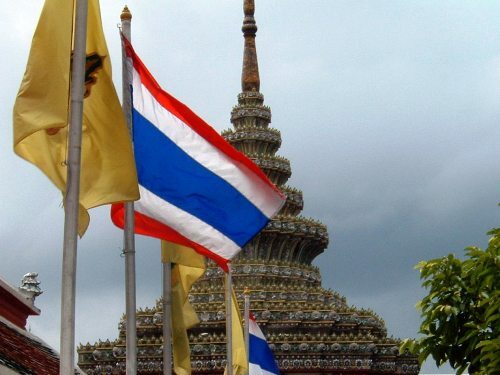 In return for Thailand’s reliable friendship, he firmly believes in the territorial integrity of Thailand. He chides Malay irredentism that exists in Malaysia and in southern Thailand. I am unsure about Thailand being our closest friend, especially after seeing Thaksin Sinawatra in power. I remember that the Thaksin administration looked for a scapegoat in hope to divert attention away from him. He found Malaysia. A very close friend would not do that. Nevertheless, I truly believe that a stable neighborhood is beneficial for Malaysia. That means stable and developing neighbors. As a regionalist, I believe in European-like integration for Southeast Asia. As such, I am happy that Indonesia has managed to sort its problems out after all these years. In the same vein, I am concerned with the situation in Thailand. Any effort of integration must take Thailand into account. After all, Thailand is the original six members of ASEAN. A free and fair election is the solution for Thailand. Only a free and fair election will solve the problem of Thailand. Unless there is a free and fair election, a large section of Thai society will continue to question the legitimacy of the government of the day. And really, I find it hard to see how the current government is legitimate, even if the previous Thaksin-connected governments were unconvincing. A new mandate is required. I was in Bangkok in 2006, just about four months before the military coup took place. I love the city and it breaks my heart to see such a beautiful city becoming a war zone. Streets that I have walked at this very moment have snipers readying to shoot. Protesters are fighting back. Smoke billows. I do not intend to choose sides here. I do not have the appetite for such debate. In fact, the two sides of the divide do not appeal to me. All I hope all this will be resolved soon. The trouble with fair and free election is, it rarely is.